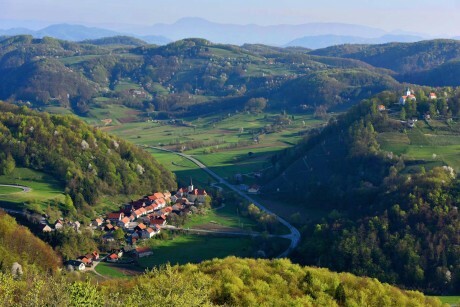 The Kozjansko Regional Park, a region in eastern Slovenia, is one of the oldest and largest protected areas in Slovenia. It represents a mosaic of the pre-Alpine Posavje Mountain Range, hills, and plains along the River Sotla. 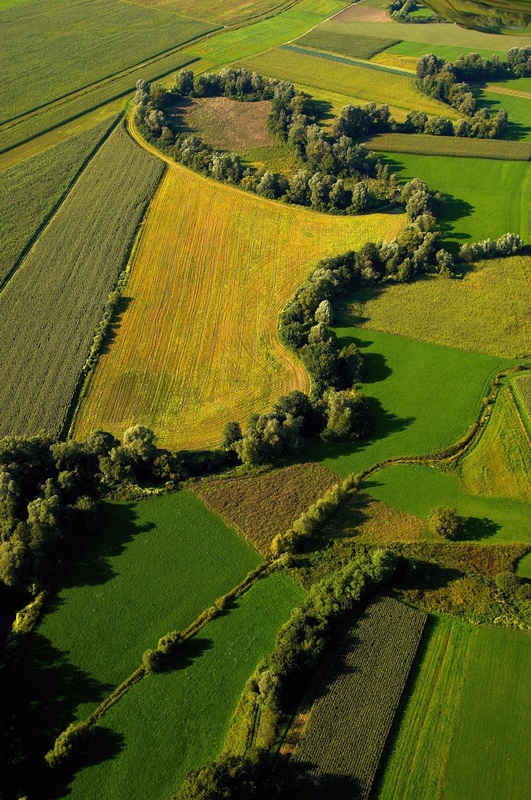 The high degree of biodiversity places Kozjanski park among the most important nature protection areas in Slovenia and Europe with the majority of the park belonging to the European important special protection areas NATURA 2000. (MAB programme – Man and Biosphere). The Kozjansko Apple from the meadow orchards has become a symbol of environmentalism, sustainability, preservation of the heritage, health, and recognition of the Kozjansko Regional Park protected area. 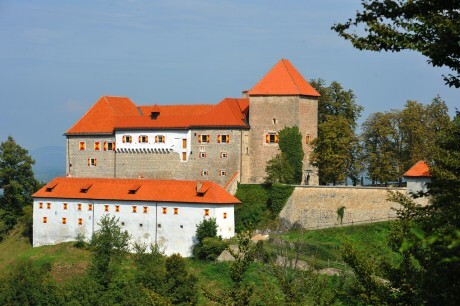 In the heart of the Orlica hills, you can find “Slovenia’s most royal castle”. The former castle cellars host a showcase of the protected area of the Kozjansko Regional Park. The contemporary exhibit of glass foundry glass reveals the masterpieces of the forest glassworks of Kozjansko (locally referred to as “glažute”). Every year, renowned artists still showcase their opus at the Castle. In the medieval town square, you can find the headquarters of the Kozjanski park with presentations as well as smaller exhibitions about the protected area. The town square also boasts a “pranger” – a pillory, St. John’s Church, a Slovenian-Bavarian House with a statue of the Slovenian writer Anton Aškerc, a biological waste water treatment plant, the Levstik Mill on the Bistrica, and it serves as the starting point for treks throughout the Podsreda region. Meadow orchards are a part the Natura 2000 area since they are a living environment for numerous bird species. 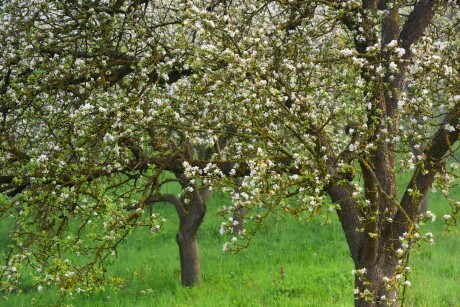 At the Čerček Homestead above Podsreda, there is a collective orchard of Kozjanski park, where more than 100 traditional apple varieties and 60 pear varieties have been planted. Next to the orchard, there is a nursery garden for growing seedlings of old apple and pear varieties. The information point in the orchard is also adapted to the needs of the blind and visually handicapped. The highest pre-Alpine areas of Kozjanski park reach altitudes between 600 and 900m AMSL. Sustainable farming has created one of the most beautiful and richest habitats – highland dry meadows with an astonishing biotic variety. 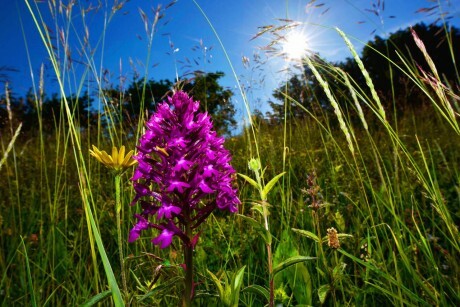 Especially the orchids, butterflies and agaric mushrooms. The attractiveness of the meadows is at its peak from May through August, whereas in October we can indulge in the varieties of mushrooms.